Design Doo Scissors – In 2004, Andy Seo became interested in hairdressing scissors whilst writing a book on the subject. It quickly became clear to him during his research that many of the scissors available to hair professionals were not developed and manufactured to the highest standards. He combined design and manufacturing experience to produce original, highly durable and ergonomic scissors. The Design Doo Scissors range have been extremely popular and are now well recognised in the international market. 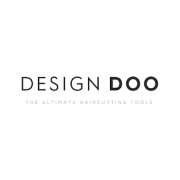 At Direct Hairdressing Scissors we have been selling Design Doo Scissors to hairdressers and barbers for many years and we have considerable experience on advising customers on the most suitable products to fit their requirements. To discuss any of the hairdressing scissors in this range, call us on 01270 630280. Our office hours are Monday to Thursday between 9am & 5pm or Friday between 9am & 3pm. Our help team will be happy to give you advice and assistance.